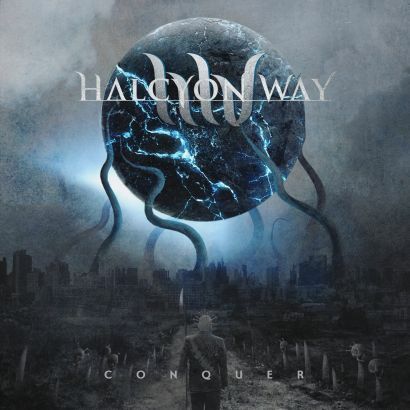 It’s been a pretty long while since we’ve heard from the gentlemen of Halcyon Way. It was 2014’s Conquer, in fact. Said album left a lasting impression due to it’s ability to meld the old with the new, the traditional with the heavy. Something that Bloody but Unbowed continues to do, as well as deftly adding in even more elements to the mix. 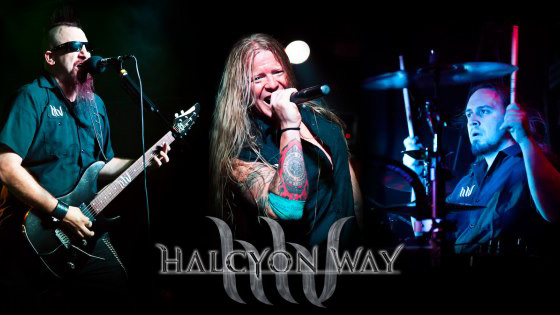 Like the last album, it’s not hard to picture Into Eternity at times, with the band’s brash and upfront aggression that’s decidedly modern with a more timeless backbone of traditional and power metal. But that’s not all, as the list of influences employed by the band could take up a solid paragraph. Let’s instead focus on the important part – the music itself. 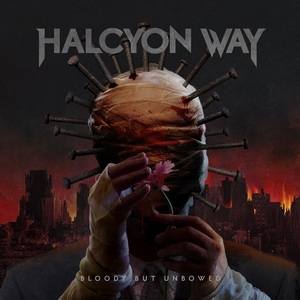 Halcyon Way have been around the block and grasp how to interject these different emotions into the music and still have it feel cohesive. With the influences, it’s easy to find some pleasing moments within each track. From the old-school, raise the fist anthem of “Primal Scream” to the modern, electronically-enhanced melodic death metal bounce of “Slaves to Silicon” to the more rock-oriented groove of “Blame,” there’s plenty of reasons to get excited as the album progresses. The band never abandons the heavier crunch to the guitars, and it is quite a selling point, as is the pleasantly audible basswork and standout guitar soloing (see “The Church of Me” for a fine example). There’s also something to be said in Mark Lewis’ mix of the album in allowing all of these pieces to stand out. 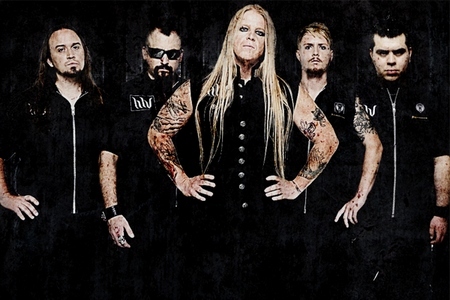 Lastly, vocalist Steve Braun’s work fits the band like a glove, with enough charisma to standout, with added extreme vocals behind him at times to really drive the heavier moments home with power. 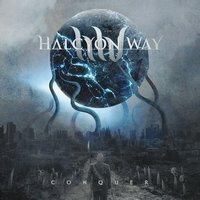 Shame that Halcyon Way doesn’t seem to get the attention from the metal community that they deserve. They are playing to a wide audience with some tunes that are bound to sink into your head with ease, yet have the chops to keep you coming back for more. Bloody but Unbowed is a mix of punchy and progressive at its best.